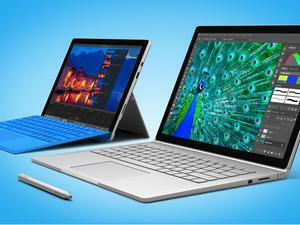 Microsoft remains silent on battery drain issues affecting its latest tablet and laptop. 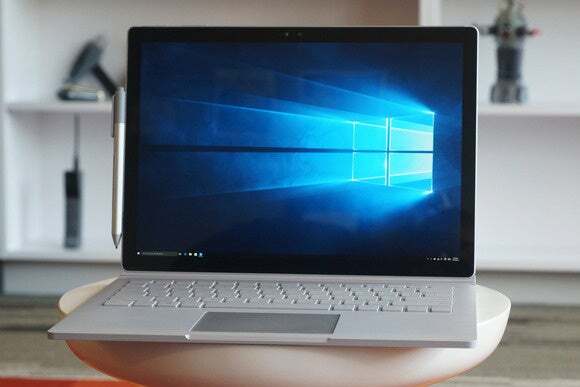 Microsoft has just delivered a firmware update to Surface Book and Surface Pro 4 users, though it’s probably not the one they’ve been waiting for. With the January 2016 update, both devices are getting improvements to battery charging, thermal tuning, wireless access point compatibility, and 5GHz Wi-Fi network throughput. For the Surface Book, keyboard detection issues are also being fixed, and models with dedicated Nvidia graphics cards should be more stable. The Surface Pro 4’s fingerprint sensor is getting an update to improve accuracy as well. With January’s firmware now available automatically through Windows Update, it sounds like users will have to wait until at least next month for resolution on the sleep issue. Why this matters: Microsoft has impressed in recent years with its Surface hardware, but the company has repeatedly stumbled with firmware-related problems. With the Surface Pro 2, for instance, a botched firmware update introduced major battery drain problems that weren’t fixed for a month, and the Surface Pro 3 shipped with a wide range of show-stopping glitches. As the Surface Book and Pro 4’s battery issues wear on, it’s getting harder to place faith in Microsoft’s hardware efforts, especially when the company spends more time talking about NFL product placement snafus than problems facing ordinary users.